The Indy 500 and the Chevrolet Corvette are a match made in brickyard bliss. The Corvette as a pace car is an institution. But, this collection of pace cars is unlike anything we’ve seen before. Why? Because it includes a Corvette pace car from every year the nameplate was used to pace the legendary race. It’s also the only collection of its kind in the world. 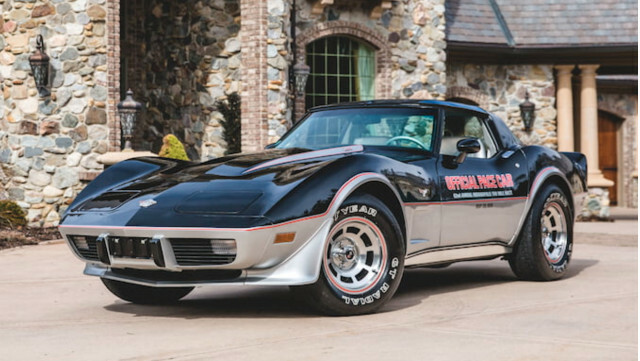 The first year a Corvette paced the Indy 500 was 1978, and that’s exactly where the collection begins. Subsequently, there are five generations of Corvettes represented: C3, C4, C5, C6, and C7. The real charm of the collection are the 2013, 2014, 2015 and 2017 examples. The pace cars from those years were never offered for sale to the public. So, the collection’s owner, Keith Busse, replicated each of the cars with authentic pace car gear and graphics straight from the suppliers. They are pace cars that never saw the actual track. It’s tough not to underscore just how incredible the collection of Corvettes is, which will be offered at Mecum Indianapolis on May 15-20. The set of Corvettes will enter the auction block as a set first, but if the set fails to sell, each will be auctioned off individually with no reserve. Additionally, a pair of tickets to the 102nd Indy 500 will be included with each car. And this year, the 2019 Corvette ZR1 will handle pace car duties. New Jeep 3-row crossover to be badged a Grand Commander?